We’ve helped donate over 30,000 free cleanings to women who need housecleaning while undergoing treatment for cancer. Debbie Sardone is President of Buckets & Bows Maid Service, and the founder of Cleaning For A Reason, a nationwide program that helps women with cancer receive free housecleaning.“I am amazed that someone would come in and clean for me completely free of charge. I have been unable to clean for a while. Coming home to a clean house made me feel normal again. 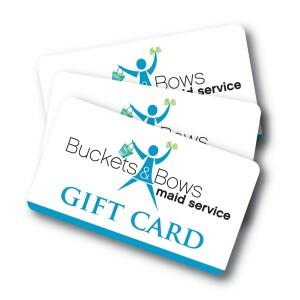 Thank you so much.” (a cancer patient from Buckets & Bows Maid Service). Fighting cancer is difficult enough, but living with it is even tougher. That’s where the Cleaning for A Reason Foundation steps in.